Frozen vegetables are now getting popular because people start seeing their value. They contain the same amount of nutrients present in fresh vegetables, or even more. Therefore, on your next trip to the grocery store, you shouldn’t limit your search to the produce section only. Try going to the frozen goods section to find frozen vegetables worth buying. You may even order online from IQF vegetable suppliers UK customers can access, if you don’t have time to head to a local store. The good thing about frozen vegetables is that after the get harvested, they immediately go to the processing and freezing sections. Therefore, all the nutrients present in the vegetables remain there. On the other hand, when you opt for fresh vegetables, they are not necessarily fresh anymore as they arrive in a local market. They might come from different locations, and it took hours (or days) to deliver them to the market near you. By that time, the vegetables have already lost essential nutrients. The problem with fresh vegetables is that you need to prepare them before cooking and eating. You will take time washing them, cutting them into smaller pieces and preparing them for any meal. When you choose frozen vegetables, they are ready for you. Instead of cutting, you can thaw them, and they are ready for cooking. You can use your microwave to expedite thawing. You want to properly plan your budget to ensure that your money goes a long way. Fresh vegetables are affordable, but you are not sure until when they will remain fresh. After a few days, they might not be fresh anymore, and you have no choice but to throw them away. As a result, you are losing money on something you did not eat. 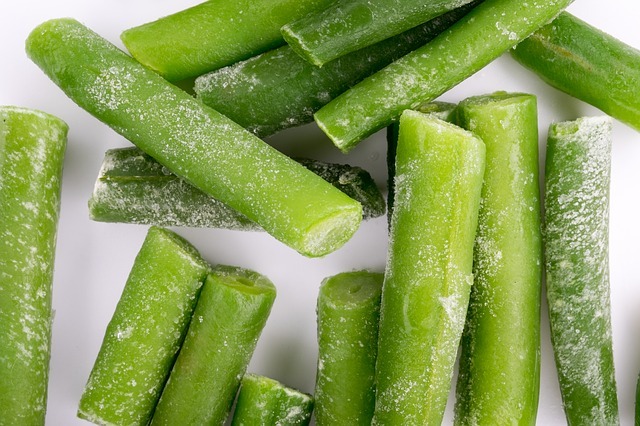 With frozen vegetables, you can expect them to last longer. Return them to your freezer if you do not finish using all of them in your meal today. You have to be cautious in finding the right vegetables to order. If possible, you need to stick with plain vegetables. Look at the label to see if there are ingredients added to the vegetables that are unhealthy. You don’t want vegetables with added salt and sugar. They might taste great, but they are not the healthiest choice out there. Besides, even if you buy plain vegetables, you can season them later if you want your meal to be tasty. It is also a good idea to stick with vegetables that you already like eating. Broccoli, carrots and peas are among the most popular frozen vegetables. If you don’t want the fresh version of these vegetables, you can’t expect to like the frozen ones suddenly. Now that you understand the benefits of frozen vegetables, it is time to consider eating them. Check some of the options online and order them now. They will last long, so you don’t need to worry if you can’t finish eating them in one go.